BlackBerry 9900 has evolved in the market with multiple features as well as style which suites the personality of every individual. The QWERTY key pad offered in it makes the task of messaging so easy and convenient that one can use it even with closed eyes. It weighs up to 130 gm so that people can easily take it to any place without any worries. It also provides a high resolution touch screen and body with a dimension of 115x 66 x 10.5 mm which makes every task of phone as easy and smooth like slicing a piece of cake. These facilities tend a person to make the smart phone as part of their life which creates a need of suitable mobile phone insurance. BBM - The facility of BBM i.e BlackBerry Messaging is also offered by the set with the help of which people can send unlimited messages to any person living in any part of the world. One just needs to activate the messaging facility by paying a limited amount of money. The browsing speed of the internet offered through BBM facility is very fast as well as one can open multiple pages with ease through the BlackBerry 9900. Large varieties of latest graphics are also offered by it, so that people can use any graphic and change them as per their mood and style. Battery backup of the phone is 6 hrs 30 mins with standby up to 307 h (2g) so that people can use it continuously without any breakage or worry about its battery. Music facilities, FM etc., are also offered by along with 8 GB of internal memory so that one can save his favourite numbers and hear them whenever he wants. The most important task which comes on face after buying this phone is to get it proper BlackBerry phone insurance which creates a safety and security in the buyers mind. 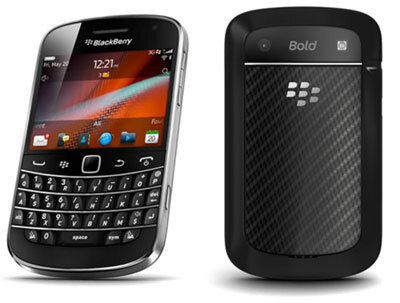 Loss – If any person’s BlackBerry 9900 is lost and he is unable to obtain it back then all his loss will be compensated by the BlackBerry 9900 insurance. He doesn’t have to suffer the damages which are occurred due to losing of the cell. Loss cover can be added in as an optional extra. Mechanical Damages – A person may travel many places or regions in his day to day life due to which he might meet with any accident which may cause mechanical damage to his BlackBerry, but all these damages are covered by BlackBerry phone insurance. They will remove all the defects and offer the cell in the condition in which it was bought. Accessory Cover - Damage or loss to any accessory of BlackBerry 9900 like earphone, charger etc., are also covered by the mobile phone insurance plans. They provide these accessories back to the customer up to a specific limit of money.